This spring, multiple BUS members were accepted into top graduate programs in their fields. Learn more about them below. Michael is a formerly incarcerated student from West Covina, CA. He was accepted to Master of Public Policy programs at the University of California, Berkeley, the University of Michigan, Ann Arbor, the University of Chicago, and Carnegie Mellon University. He was also accepted to the Master of Public Affairs program at Princeton University. In addition, he received full rides for all programs except for the University of Chicago. Mark was accepted to the Masters of Social Welfare Program here at UC Berkeley's School of Social Welfare where he will be studying Health and Wellness Throughout the Adult Life Span. His goal is to become a Social Worker for the County of Alameda and work on (rehabilitating) youth rehabilitation and providing alternatives to incarceration. He will graduate with his bachelor's degree in anthropology from UC Berkeley in May. Abdullah was admitted to UCLA's PhD Program in Anthropology. He will be starting there this fall. Abdullah was released in December, 2014 after being locked up in 1999. While inside he got a GED and an AA in social and behavioral sciences from Palo Verde College. In January 2015 he enrolled at San Diego City College where he took prerequisites to transfer to UC Berkeley. He will graduate from Berkeley in May with a BA in political economy. Clint was accepted to UC Santa Barbara’s English Ph.D. program. He is the first in his family to pursue a college degree. 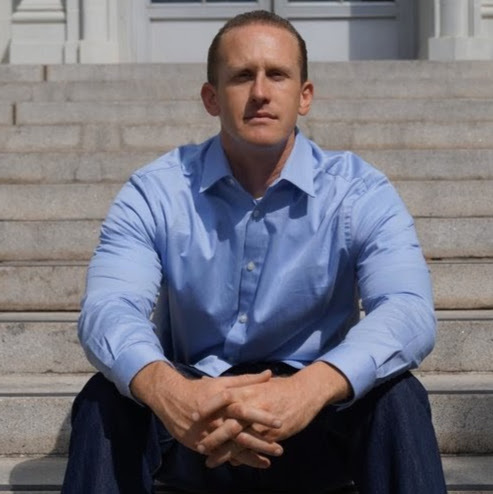 After a total of eight years incarcerated beginning at the age of fourteen and ending at twenty-six, Clint transferred from Cabrillo College to UC Berkeley as an English Major. Here, Clint has pursued research in 19th, 20th , and 21st century literature and poetry with an emphasis in contemporary American prison literature. He has presented his research at the Northwestern Undergraduate Conference on Literature at the University of Portland as well as at the Haas Scholars and McNair Scholars research symposiums at UC Berkeley. Shalita grew up in East Oakland and is a single of mother of two boys. She is a formerly incarcerated woman of color who is dedicated to fighting against the criminal injustice system. At UC Berkeley she is studying sociology and currently writing an Honors Thesis. She will graduate in May 2018 and was just accepted into UCLA's Masters of Social Work program.